What makes William & Mary women extraordinary? "They inspire, empower and lead," says Val Cushman, director of alumnae (pronounced alum-knee) initiatives. 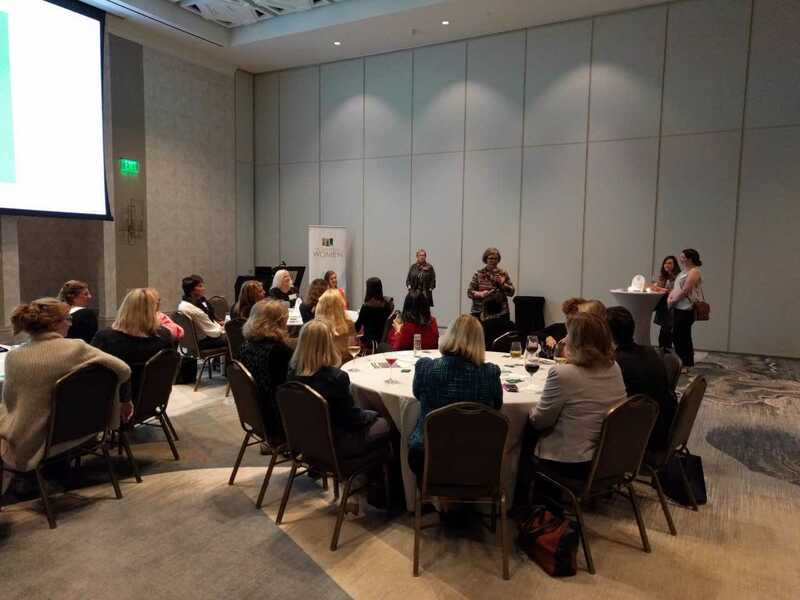 This was the 20th such event as Cushman travels the country to bring William & Mary women together and make plans for the anniversary year that begins in September. Law Professor Emerita Jayne Barnard, coordinator of academic events for the anniversary year and chair of the planning committee, was the featured speaker. She shared with attendees the history of women at William & Mary, from the first women allowed to attend Shakespeare lectures in 1896 to the first 24 students allowed to enroll full-time in 1918. The seminal vote of the Board of Visitors to admit women occurred at their Charter Day meeting in February 1918. Barnard said the reactions from students and faculty varied widely at the announcement that women would be allowed to attend. "The College's president Lyon Gardiner Tyler was one of the few male members of the Women's Suffrage Association," she said. "In his farewell address, he expressed his hope that the newly-admitted female students would be allowed to vote one day." And yet, she said, the class historian published in the 1918 yearbook that he was a member of the "last class to graduate from this old college before it is defiled by coeducation.” One of the members of the Board of Visitors who dissented the decision to admit women even said that women would "absolutely destroy the historic atmosphere of the College." Yet most of the women who attended William & Mary thrived, and now, 55,000 female alumni later, the university will soon commemorate 100 years of women students. Barnard emphasized that "we would fail if we did not include ALL women in this commemoration," reminding the audience that only white women were allowed to participate fully in university life until 1968 when the first African-American residential students, all women, arrived. 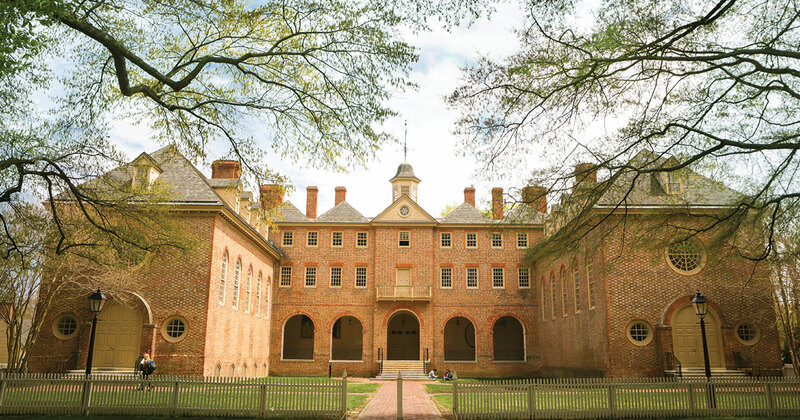 William & Mary is commemorating the 50th anniversary this school year. After the program, Karen James J.D. ’90 said she was glad for the opportunity to see one of her favorite professors again. "Professor Barnard is so inspiring, and she was one of my mentors," she said. "I'm glad to see William & Mary commemorating not just women but also African-American residential students this year." Cushman followed Barnard's remarks by encouraging all alumni to submit their ideas for the 100 years of women commemoration to ideas@wm.edu and inviting everyone to the inaugural William & Mary Women's Weekend, Sept. 21-23, 2018, on campus. She also encouraged attendees to check out the many other resources and services provided by the Alumni Association at wmalumni.com. The Norfolk event brought together undergraduate and graduate alumni from many generations — recent graduates, current students, parents and staff. They represented a variety of life experiences but all shared a desire to connect with one another. Barbara Kledzik ’55 and Charlotte Paulson ’56 were interested to see how much William & Mary had changed since they attended. "It's good to see so many women are attending William & Mary," Kledzik said. "The College has changed a great deal in 60 years." Dana Baraki ’18 and Sydney K. Powell ’18 graduated this winter, and this was their first alumni event. "The people I meet who are William & Mary women are the most amazing people," said Baraki. "Now we're alumnae, I feel like we have a personal stake in helping build this community." As a final activity of the night, the attendees gathered in a circle that encompassed much of the ballroom. Passing the microphone around, each shared their name, connection with William & Mary, and a success, encouragement or need. 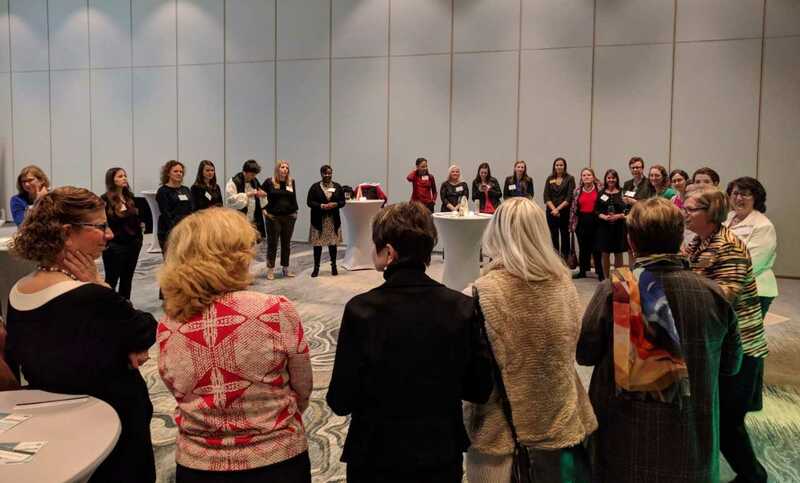 As each woman shared their story, they received an outpouring of support from their fellow W&M women. Stories of accomplishment were met with cheers and applause; requests for professional contacts or job opportunities were met with business cards; and tales of hardship were met with sympathy. Each woman's story was recognized as part of the larger narrative of William & Mary women as a whole. For her moment at the microphone, Helen Sommer ’83 encouraged attendees to make a difference. "We are more than half of the William & Mary alumni population, not to mention half of the world's population," she said. "We need to invest in the world and what we want it to be." Kristina Gill ’90 was impressed by the outpouring of love in the room. "All of these women together — we have something very important in common, and that's William & Mary," she said. "We all stand up for each other and rally for each other." Afterward, Sally Sledge M.B.A. ’93 summed up the experience. "I'm amazed at all the things these women have done. There's such a broad swath of experiences here," she said. "Being here today, we are extending our college experience, making these connections I hope will last a lifetime."